Mallory Carothers is from South Sioux City, NE and graduated from South Sioux City High School in 2015. Mallory is a senior and is majoring in Elementary Education with an Early Childhood endorsement. She participates in WSEAN, the Wayne Stater, Cardinal Key, Week of Welcome Ambassadors, Honor’s Mentoring, and RHA. 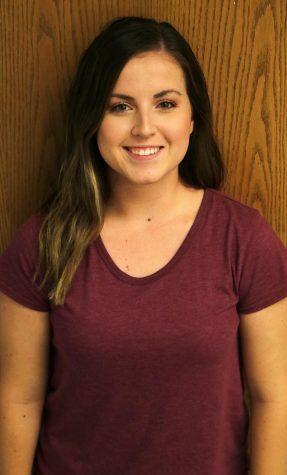 Once she is out of school, Mallory plans to teach at an elementary school in Lincoln, NE. Her favorite food is spaghetti, and she has two older sisters.